Although it is set to make its official debut at the Geneva Motor Show in less than two weeks, photos of the Infiniti Emerge-E have hit the internet—and we like what we see. The pictures we found at Carscoop.com show a dramatic supercar with plenty of Infiniti styling cues to go around. The company has revealed the Emerge-E will be powered by a mid-mounted range-extending drivetrain, but not a whole lot else about the technical details of the car. 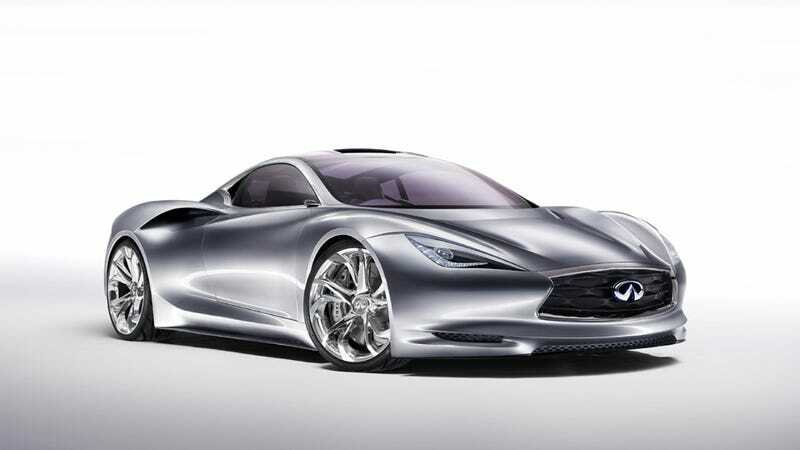 We've been wondering what Infiniti's electric supercar would actually look like ever since the company started teasing the car last year, but we'd be lying if we said we expected a car that looks as good as this one. We'll have to wait until the car is officially unveiled in Geneva to find out exactly what the Emerge-E is hiding underneath its sleek exterior.